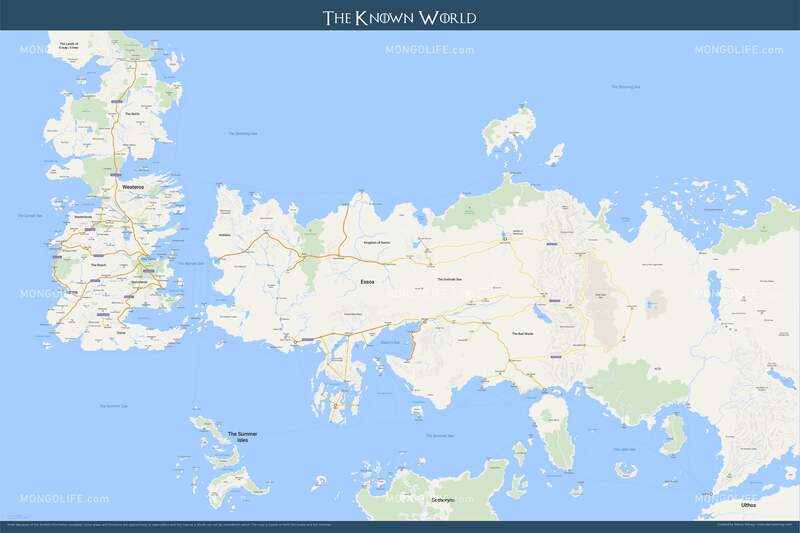 New Game of Thrones Map featuring Westeros & Essos! We've updated our best seller posters (Westeros & Essos) and combined the two into a huge 24x36" poster. The new design is also updated to match the current theme of Google Maps. For a higher resolution image, click here, or to browse the map in true Google Maps fashion, check out this link. Click here to check out the product page. NOTE: While we also offer the 18x24" version, we highly recommend going for the 24x36" to give the map justice and so you can be sure that you will be able to read even the smallest print.